Tripp Lite's compact, cost-effective TLP604TEL surge suppressor provides 790 joules of surge protection for PCs, peripheral devices, and all electronics. Its built in RJ-11 jacks protect phone, DSL, fax, and modem equipment. Featuring 6 AC outlets, including one that can accommodate a bulky transformer without blocking the other five, the TLP604TEL incorporates technology that filters out disruptive line noise, preventing it from affecting your equipment. Key-hole slots on the back of the unit allow it to be easily mounted on the wall. This Tripp Lite surge suppressor also includes built in diagnostic capability in the form of a green LED that indicates whether surge suppression is available. If this LED ever goes out, simply return the TLP604TEL to Tripp Lite for a free replacement. Additionally, an illuminated master switch provides one touch power control over all components. If you need reliable AC and TELDSL line surge suppression for a desktop, home computer, or office application, order the TLP604TEL . Tripp Lite's TLP604TEL offers reliable AC and TEL DSL line surge suppression for PCs, peripheral devices, and electronics! 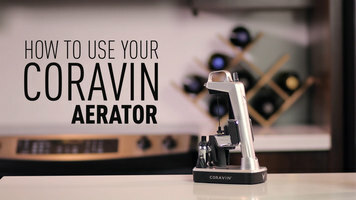 Make sure every glass of wine has the best aroma and flavor possible with the help of the Coravin aerator. Use this device with your Coravin wine system to aerator your wine while you pour, thus enhancing the natural profile of your wines. Are you having problems cooking rice so that it's light and fluffy? 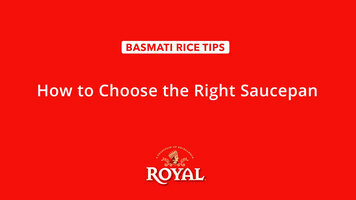 Chef Maneet Chauhan from The Royal Kitchen explains what saucepan you should be using to cook rice to get that wonderful, fluffy texture. 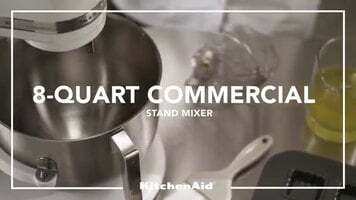 Check out this video to find out why professionals are flocking to this new Kitchen Aid® Commercial Stand Mixer. Designed with chefs in mind, this mixer is just what you need to whip up large and small batches of your most popular recipes.